Followers of Yeshua generally understand the concept of life-after-death. Our eternal hope is in the resurrection of the dead and the life we will enjoy in our immortal bodies. Yeshua speaks of this eternal life in Matthew 25. Paul explains this reality by saying, “For this perishable body must put on the imperishable, and this mortal body must put on immortality” (1 Corinthians 15:53). Our eternal resurrection will be the defeat of the ultimate enemy: death. This is the understanding many have of immortality and how we enter into it. However, there may be another aspect of immortality and a way we can achieve it now, even while we live in this world. Let’s turn to our parashah to help us understand this concept. In Parashat Vayeira Abraham and Sarah are visited by three men who turn out to be angelic messengers. They have come for at least two specific purposes. The first is to deliver the good news to Abraham and Sarah that Isaac will be born to them the following year. But they have also come to bring judgment on Sodom and Gomorrah and their neighboring towns. At first it appears that they will forego letting Abraham in on their plans. However, as they begin to set out toward Sodom, the LORD says, “Shall I hide from Abraham what I am about to do, seeing that Abraham shall surely become a great and mighty nation, and all the nations of the earth shall be blessed in him?” (Genesis 18:17–18). He chooses to reveal His plans to Abraham. Although this statement seems to be related to the reason the LORD is telling Abraham his plans about destroying Sodom and Gomorrah, it is also related to the angels’ first mission, the news of Sarah’s pregnancy. God chose Abraham (and was now blessing him with children) because he would teach his children to keep the ways of the LORD. The end of this verse, however, doesn’t seem to make sense. Agreeing with the Midrash (Midrash Rabbah 49:4), Rashi finds a deeper significance in this phrase. One would think that it should say, “so that the LORD may bring to Abraham’s children what he has promised him,” because eventually God would give Abraham’s descendants the land of Canaan. But Abraham himself, however, would never receive this promise. Commenting on this verse, Rashi says that because the Torah doesn’t say the promises would be given to Abraham’s offspring, but to Abraham himself there is a deeper meaning intended. Abraham will indeed receive what he has been promised on account of the actions of his descendants long after he is departed. Therefore, it must mean that Abraham still lives through his children in some way. Rashi concludes by saying that a person who raises a righteous son is as if they never died. 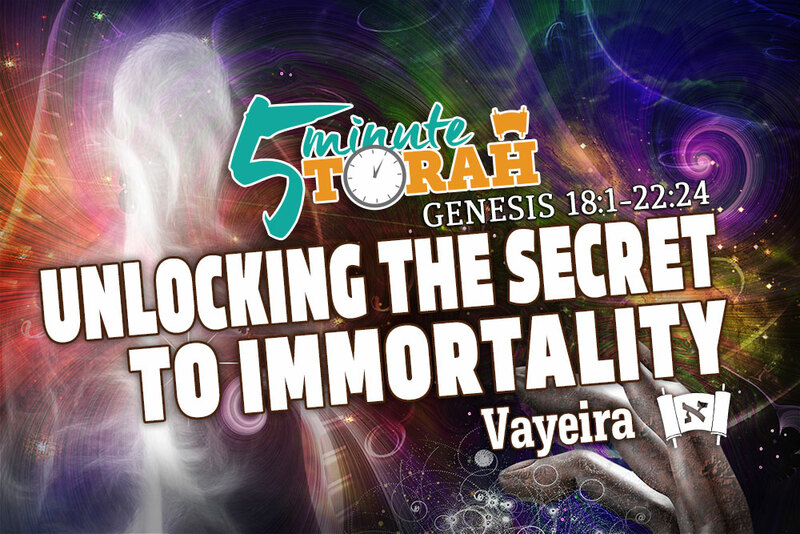 This is the secret to unlocking immortality. For those of us who have children, we have to opportunity to invest into our offspring to produce righteous children who will carry on the work of the Kingdom in our place. For those of us who do not have physical offspring of our own, we still have the opportunity to disciple others so that they can carry on in our stead. Either way, we have to opportunity to step into immortality by investing into others just as Abraham did. Abraham lives on because his descendants (both physical and spiritual) continue to live out their faith, pursue Torah, and work towards the realization of the Messianic Kingdom. Messianic pioneer, Rabbi Isaac Lichtenstein understood this principle. In his biography, The Everlasting Jew, he taught, “Only in our descendants, in our children, are we imperishable and immortal on earth, for they continue, complete, and fulfill that which we begin, and undertake, and strive for.” May we each find immortality in this life through teaching others to “keep the way of the LORD by doing righteousness and justice.” Eternity is waiting on you.